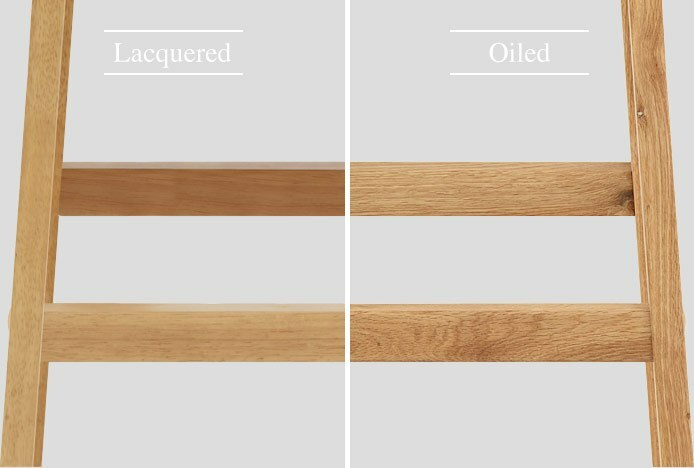 To keep your furniture looking as good as new, we have created a simple guide about the different finishes used on our wooden products, and how to care for them. Unlike the furniture of the past, modern wooden furniture finishes are made to provide durability and minimal upkeep, whilst still enhancing the overall appearance. Previously, antique pieces were given a shellac finish, which traditionally consists of resin taken from lac bugs combined with alcohol. This type of finish is susceptible to heat, scratches and discolouration, whilst the new lacquers used in our products are formed of polymer or acrylic, and are much more hardwearing and easily maintained. Even with the huge variety on offer, we go to great lengths to ensure each individual wooden stool, table, or chair, will withstand the tests of everyday life in your interior. 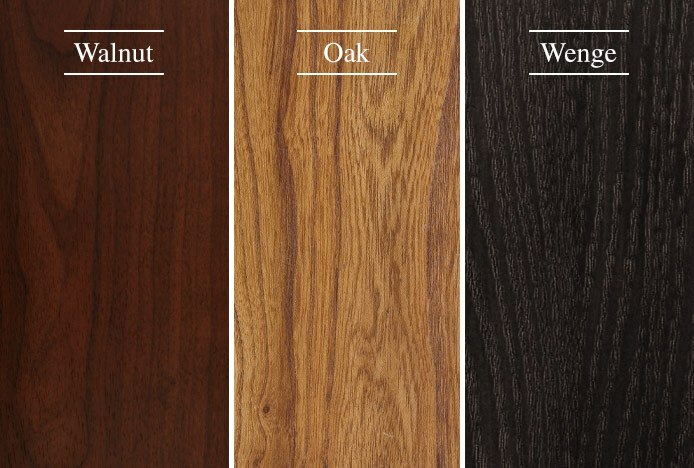 So as to reduce the risk of cracks and warping when the wood is exposed to temperature changes in the home, each piece of wood used in our designs is seasoned hardwood. This means the wood has been dried in a kiln at a controlled rate to draw out the moisture. Not only that, you can also rest assured that the wood we use is responsibly sourced from sustainable and environmentally managed forests. The vast majority of our wooden stools and dining chairs have a sleek lacquered finish that needs very little maintenance. The lacquer is sprayed onto the wood and forms a highly resistant seal on the surface with an even and subtle lustre finish. This provides good protection from heat and water, but prolonged exposure to such elements can cause damage over time. Displaying a slightly more natural and matte look, stools like the Drift and the Grasmere have a smooth oiled finish which absorbs deep into the surface, protecting from within. It can easily be touched up with the likes of Tung oil if necessary, but you should always patch test any oil on a discreet area first. For a sleek contemporary look, some of our solid wood models have a satin painted finish, as seen in the Oslo Bar Stool Black. This type of finish is both stylish and durable, with our darker colours being easy to colour match if any touch ups are required over time. - Keep your furniture away from direct heat, such as radiators. Wood is a natural material and will expand and contract in extreme temperatures - this can cause cracks, enlargement of joint areas, and warping. 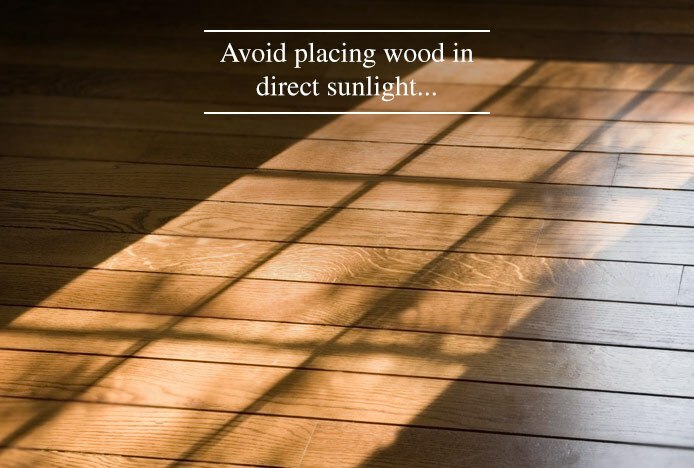 - Avoid placing the wood in direct sunlight for an extended period of time, as this will bleach the wood. The colour may fade naturally in time but reducing exposure to sunlight can slow this process. - Wood will also absorb moisture, so any spillages should be cleaned up immediately with a clean cloth to avoid soaking into the wood and staining. For the same reason, take care not to soak the legs of your wooden stools or chairs when mopping floors. - We also offer a range of wooden tables. Placing hot plates and cups directly onto the wooden tabletop can cause ring marks to form in the wood, this can be avoided by using coasters and placemats. - Wipe clean any light marks or dirt with a slightly damp cloth and buff with a clean dry cloth in the direction of the grain. Don’t use any abrasive materials when cleaning, as items like scourers could scratch the surface of the wood. - Dust your wooden dining chairs and stools regularly, we suggest once a week, to reduce fine scratches forming from a build up of dust and dirt, be sure to pay particular attention to footrests and bracing bars. - Use wood polish for any tough marks, but make sure you patch test first on a discreet part of the wood and polish in the direction of the wood grain. - Avoid using spray polish with silicone, as this can lift the colour and strip the surface of the wood. Similarly, don’t use harsh cleaning chemicals or bleaches that are not intended for use on wood. 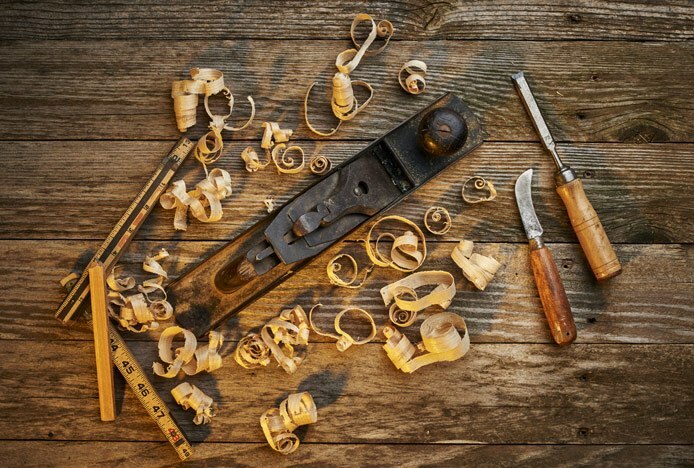 Our products are designed to be used, but it can be expected to see some small changes and a developing natural patina in the wood as time goes on and in exposed conditions. 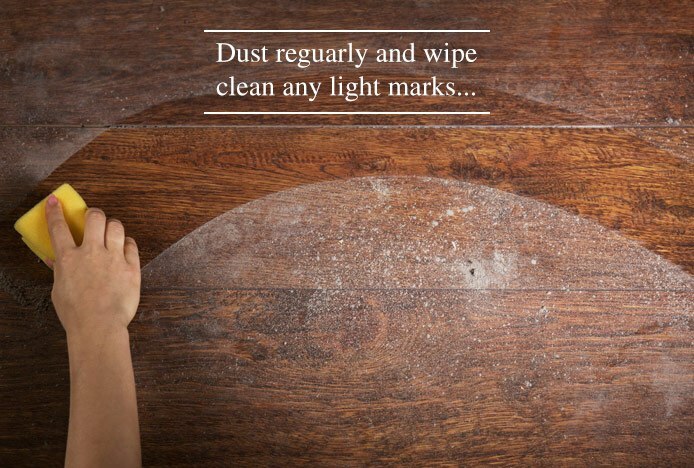 That said, if you look after your wooden furniture and take note of the care and cleaning advice given in this article, it should last you for years to come. Learn how to take apart your bar stools in just three simple steps..
Got a squeaky bar stool? Discover our top tips for stopping the squeak.. Learn everything you need to know about maintaining your new bar stools..